There are so many SEO agencies that claim to deliver top rankings in the search engine results through their efforts but there are only few of them that actually succeed in delivering it. 10seos.com is one of the reviewing agencies that focuses on making the process of selecting seo firms easier by providing a detailed analysis on the claims that are made by the seo companies. It focuses on delivering list of best seo firms in the world, country or in locality. These list helps the marketers to have a clear vision for the credible seo agencies of the world. While analysing the seo companies from all over the world, experts in 10seos.com use factors like quality of services, user feedback, year of experiences etc to gauge the potential of the company and rank them in order of their performance. This month, 10seos.com has ranked VerveLogic as the third best seo firm in the world. 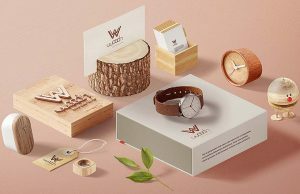 Verve Logic is a designing and development company that offers best services in the most affordable price. The company is based in Rajasthan, India and focuses in providing best solution for seo across the globe. According to the CEO of the company, Verve Logic uses latest technology and innovations to combat the growing competition in the online marketing zone and work hard to increase the client satisfaction with the results. The motto of the company is about delivering the results not by giving just verbal assurance but through genuine services that earn results. The company looks into certain factors to deliver better ranking of the websites through search engine optimization. Content is the key factor for standing tall among competitors. Verve logic claims to have some of the most creative content writers in the world that are creating unique, engaging content for the website of the clients. This type of content helps the search engines to identify the website as a credible source of information and rank them higher. Verve logic has a dedicated team that work for the strategies that can help to earn links for the clients website. Link building is a crucial element in terms of seo and hence they apply different legal techniques to earn them. Verve logic also provide services in creating authority sites which gets further linked to the main website through the targeted keyword and helps to earn higher ranking in search engine results. Seo technique helps to increase the traffic for the website. Verve logic works towards implementing all white hat seo technique that helps to increase the client’s website traffic and thus increases the conversion rate. Started in 2011,VerveLogic has been achieving greater heights of success day after day. Till now, it has 500+ happy customers and a skilled workforce of 110+ professionals across the globe to perform and deliver an expert solution in seo. 10seos- 10seos is a rating and reviewing company showing badge in its logo. 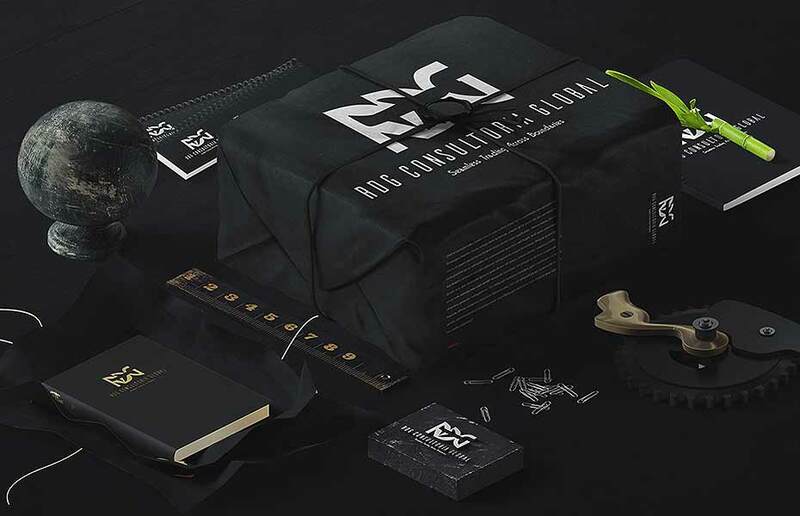 The logo appreciably depicts the story behind the creation of the brand. Many icons club together to make the logo look elegant and portraying. 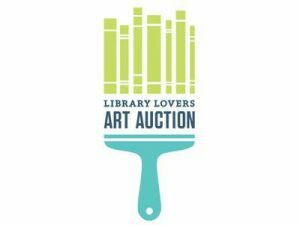 Library lovers art auction-It uses books in the form of bristles on a paintbrush. 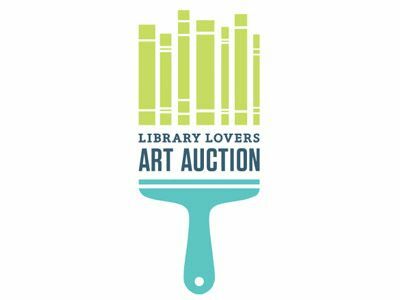 Whether you are interested in arts or reading or writing books, this logo fulfills all the needs. This simple logo uses beautiful shades so that it might not irritate users. The logo is simple as well as shows the real meaning of the name of the brand/event. This is an apt example for brands to depict their stories with the help of logos. 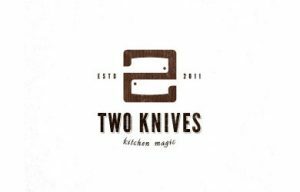 Two knives- The logo beautifully represents two knives on one chop board. 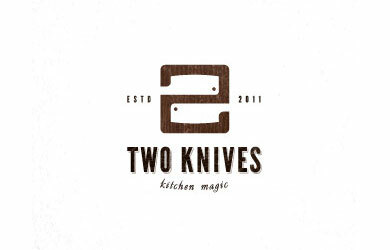 At the bottom of the logo, we have ‘kitchen magic’ written in a beautiful font. The two knives on the chop board make ‘2’. A laterally inverted ‘S’ can be perceived at first glance. Eight-Eight is beautifully written in words by erasing the little parts of figure 8. This couldn’t be imagined unless we visited the logo. 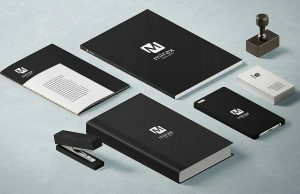 With one simple designs logos, it can convey many ideas. Using symbolism to convey a message or the goal of your ventures is always beneficial. 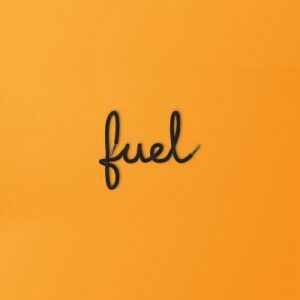 Fuel: If you want to convey your brand’s position in one word then you should take inspiration from ‘fuel’. 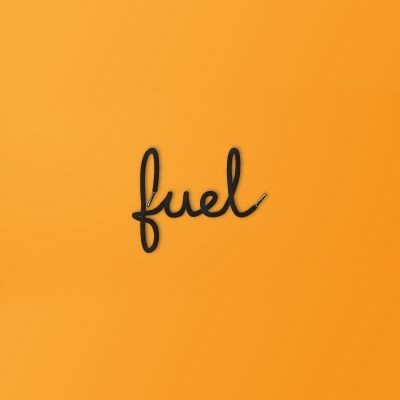 The link between the brand name and the product line made the branding simple enough for fuel. The whole word is made up of a black lace. 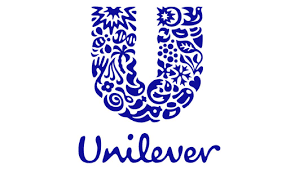 Unilever: The big blue colored U in the logo of Unilever is made up of 25 small icons. Each icon represents something very important for Unilever. Just like the lock of hair representing Shampoo brands, Unilever introduced everything in the logo from ice cream to tea leaf. Each of the icon in the logo has a rich meaning. Eat innovations- Eat innovations makes a fantastic use of negative space in its logo. The logo shows food and spoon with little green shade for being environment friendly. Logos with negative space play creative and innovative. It is really tough to use the negative space in a logo as you have to include a hidden shape in between the words. With the emergence of new innovations, more and more artists are working towards making the logos use negative space. 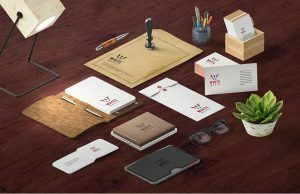 If you are putting baby steps to the market then seek for the services of a logo design company that can offer such logo. To beat or not to beat? The ‘To beat or not to beat’ logo uses a belt to give logo the shape of a question mark. The relation between question mark and the belt has been made for a humorous view of the relationship between parent and their children. 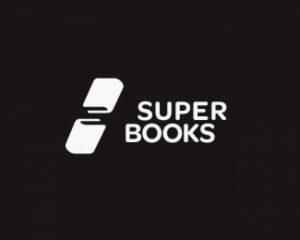 Super books: Fantastic use of negative space has been made by Super books. 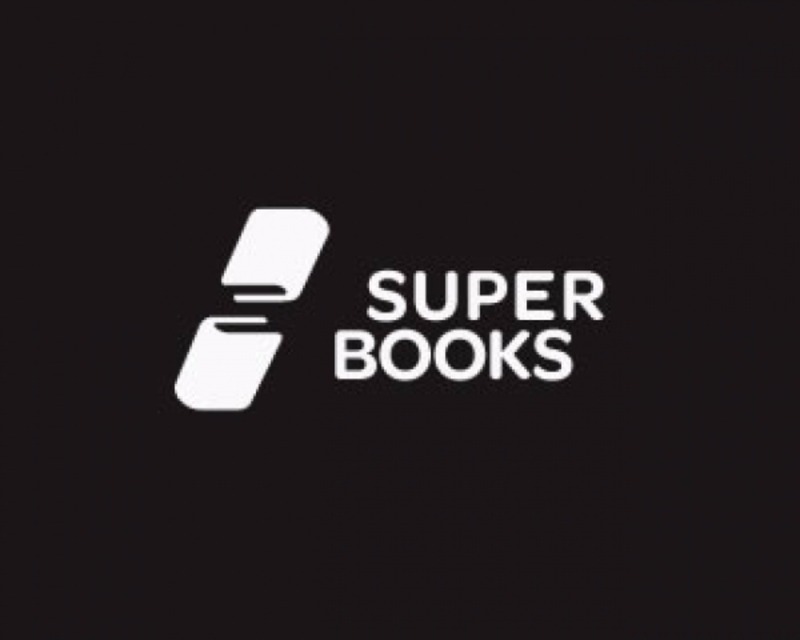 The logo shows two books with space between them in the shape of S. This is something creative and very innovative. The two books in the logo are kept in reversed direction. In shop: The brand beautifully represents an opening door in the barcode. Creativity is often about simplicity. In shop is the great example of being innovative and creative at the same time. 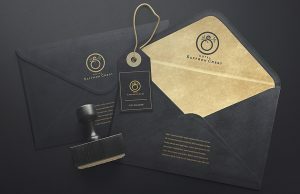 The witty logo represents an opening door for the eternal services by the giant. Talking about the negative and positive spaces, sometimes the brands make such a beautiful and witty use that people cannot take notice of actual words written. The shapes are so included in the logos that the story behind the brands comes out clearly. If we take the example of the popular courier company FEDEX, we can see an arrow heading forwards. The space between the letters E and X has been used to give home to an arrow heading forwards. Among designers, the FedEx logo is legendary piece of art. Up till now the logo has won nearly 40 design awards. This is a best example for using negative space. The masterpiece was created years ago but it still holds top position. Negative space logos are the ones that make the spines of great designers tingle. It is the same thing as the white space left after the logo has been created. Itis really important to provide emphasis and logic at that space. At the first glance, we cannot notice the use of space but if we closely look at the design we can understand the usage of both positive and negative spaces in the logos. It is all about hiding a shape associated with your business in the logo and you won the race. It is not always necessary that you make the use of both the spaces but nothing can be better if the logo can depict what you serve. The logo depicting your story can benefit your business in many ways. The logos of such kind show that there is a depth in your services and brand name which naturally intrigues. People who find out the hidden shape inside the logo of your brand feel associated with the name. Once the hidden shape has been noticed, people would prefer looking at it for longer time. The same will somewhere increase engagement on your webpages. The icons can even be used as favicons. Discuss the above mentioned concepts with your designers to fire the imagination. The leading brands operating across the globe have various types of logos. There is not a single formula to evaluate what kind of logo can suit your brand- A simple or a sleek one? It is really tough to decide. Let’s have a closer glance at things. On one hand we have the logo of Nike which is undoubtedly a leading brand whereas on the other hand we have the one symbolizing FedEx (Federal Express). The icon or logo that represents Nike is a simple wing. However, the logo of FedEx has a hidden arrow pointing forward. Both the brands are renowned but do they have the same concept? An obvious no! 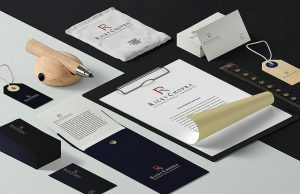 Logo designers often ponder over the innovative and fresh ideas to bring unique designs in the market. We have curated a list containing some of the best logos of leading brands, for logo designers. Nestle- The logo of the Swiss company has been changed 4 times since 1868. It started its product line with very delicious and palatable Milk chocolate. Five logos have been created for the company so far. The logo of Nestle is one of the most recognized logos of all time. The meaning of the brand name ‘Nestle’ in German is nest. The first logo was created due to this reason only. In the year 1988, the last change to the logo was made showing worm in the beak was taken out of the mother. The blue color of the logo represents purity. Toyota- The car selling company has three ellipses. Out of the three ellipses, two are overlapping whereas one ellipse is covering both of them. These ellipses are not actually ellipses but hearts representing the hearts of customers, products and progress in the field of technology. Pepsi- The soft drink giant has the logo that was once entitled as “Breath taking strategy”. The firm has changed its logo once. It spend millions for rebranding. 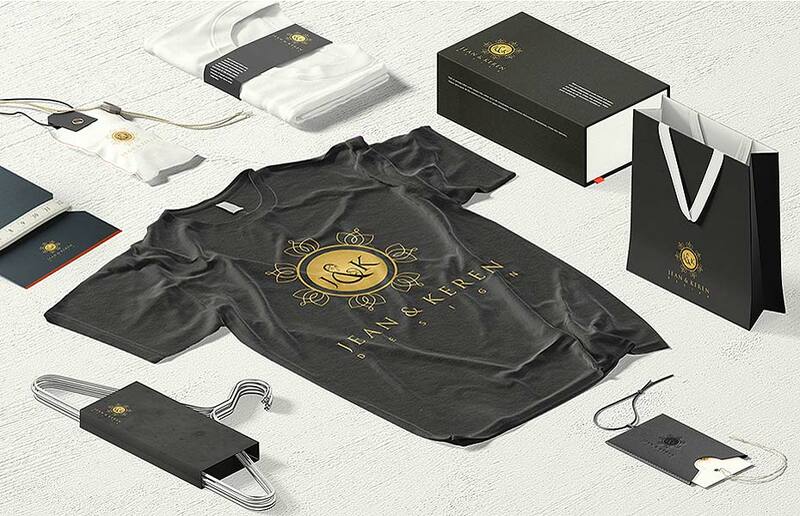 The Arnell Associates were hired to come up with the present logo. We did not have any idea of what the logo actually signify. You will be amazed to know that the simple logo signifies a lot of things. The new logo is kind of Da Vinci Code. The Pepsi logo draws more than one thing including the Earth’s Geo dynamo, Feng Shui, The Renaissance and many more things. We do not forget to count bottles down but never thought of this logo with such a great significance. BMW- The vehicle selling company has the logo that signifies its roots i.e. Aviation. Many of you must be aware of the car selling giant has an Aviation history. The logo stays true to its history and roots. The logo shows propeller in the middle cutting the air in blue sky. The giant BMW also played great role in World War II to create aircraft engines for German military. FedEx- FedEx corporation takes its name from Federal Express. It provides US multinational courier delivery services. The company is known for its overnight shipping services. 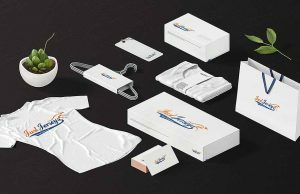 Many of you must have heard that the company has unique logo design with hidden meaning. The logo is very creative representing company’s forward thinking in the form of an arrow between ‘E’ and ‘X’ pointing forward. 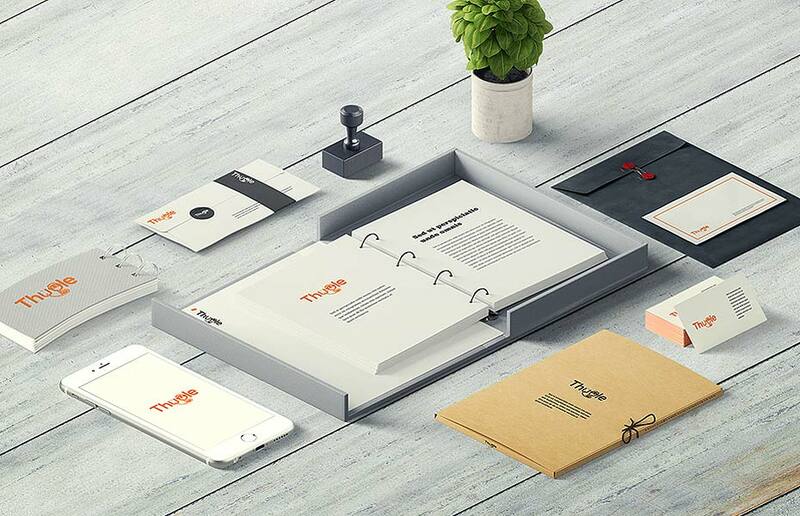 Many designers have taken inspiration from this award winning logo design. The logo is very simple yet has a very deep and good meaning. Google- Google has a very simple logo with four primary colors in series. It is then broken by a secondary color. Google did not want to make the logo very bulky but wanted to mirror the simplicity. By the logo, it means that the company does not play by rules. Since there was no intent to make it bulky, it prefered to make it with different colors. NBC- The logo of NBC has a peacock with five different colors. Why this peacock has so many colors? It is because the owner of NBC was RCA. RCA began to manufacture colored TVs at that time. RCA wanted people to know that how they are missing out on color and this is why the logo creators came up with different colors. The peacock defines nothing but the colors were filled due to the introduction of colored TVs in the market at that time. This is how the logo came out. Adidas- Any guess? You must be thinking that it’s a mountain. The logo does not basically represent anything. The makers just wanted to show three stripes in the logo. Then they tilted the stripes and give them a shape of mountain. Some brands have a hidden meaning behind the logos whereas others do not have any. Logo creation never used to be a simple task. 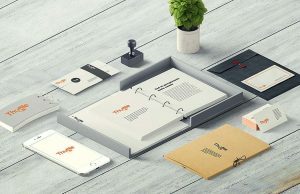 Companies spend millions of dollar in coming up with a compelling and easy to remember logo design as it represents concept and values of a company. The above mentioned logo designs really inspired all of us. 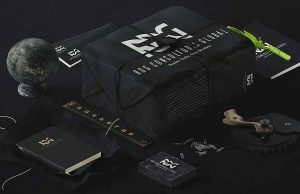 In simpler terms, make the emblem representing your brand catchy and meaningful. How To Choose Right Game Development Platform? Developing engaging and exciting games is not something rare these days. Everyday thousands of Android developers and designers create a plethora of games. With so many games coming to the market everyday, we are not in the need of anymore. Observing a great competition, Android mobile game development companies focus on how to make the games unique and more interesting than the existing ones. The first step for developing and releasing any game in the market is choosing a right platform to create games. We are here with the pros and cons of some common platform used to develop games. It is an open source platform used for game development. It offers 2D game development platform to the developers. The engine is powerful and enough efficient. It supports openGL functionality. The game platform possesses lightweight architecture that uses Java mostly. The engine is great but there are some limitation if you use it to develop games. It is not Well-maintained. You can often find yourself amidst of problems using this. It works only for Android and hence used for Android mobile app development. It helps with both development as well as publishing. Deploying the game on both ios and Android is very much easier by using this platform. It uses same code. The major advantage with Corona SDK is it is absolutely free. If we talk about cross platform publishing you will have to spend a lot. For this developers have to use Lua which is a variant of C#. Additionally, to get the working file package, codes and graphical assets need to be uploaded. Unity is the best platform for 3D game development. It can also reflect 2D capabilities. The platform is very much adaptive with new technologies. With this you can write one game and make it run on different platforms such as Android, iPhones, Windows phones, Mac etc. The common coding languages that unity supports are java and C#. Developers generally prefer unity as it works best on all the platforms. Many professional android application development companies have discovered that security is the major concern while using apps for business. People in a count of millions download applications on regular basis. All the games and other utility applications on your phone seek for permission to use general data associated with your phone before installation. Privacy and security issues are the roadblocks if you have just come up with an application in the market. Many developers working with professional Android application development companies assure that the personal data will remain confidential. The big question is- How this process actually goes? Is your data actually secured? According to a report released by Federal Trade Commission, a plenty of mobile applications were found taking out irrelevant data from the phones of users in California. After many such reports, major companies such as HP, Apple, Research in Motion were urged to release strict privacy policies in the year 2012 to safeguard the personal information of the users. The White House “Declaration of Confidentiality” has however released a paper explaining best practices for using only relevant data on user’s devices. According to a study carried out by Pew Research Center, more than half of the app users uninstall apps after usage due to privacy concerns. The team found out that the people are also concerned due to third party integration such as Payment Gateways, Network channels or telecom network providers. The project found five types of behavior linked with the phone users. The study found that 54% of the total application users look keenly at what personal data would be used by the application. 30% of the users uninstall the application after complete usage so that the application may not use the personal data of user in future. Some applications even take out information such as your location, frequently visited locations or may be the complete schedule. This is what users think while using mobile applications. They cannot be completely convinced until you have a very strong security systems and privacy policies. Build your apps with a host of protocols and security safeguard so that you can win the trust of the users. Also, the users should always keep the backup of all the data. Make priority for Data privacy as it will make users install the application and keep it with them for a long time. Think as the users of your application and you will come to know about the key requirements automatically. The development of any mobile application does not finish the task. It would only make you arrive halfway to your destination. App engagement is the major aspect that professional android application development companies have to think upon. Your application should have great design and it should be responsive in all aspects. Let’s have an eye on what is the difference between App engagement and User retention. App engagement- It describes how much active are users on the application. User retention- It is the percentage of users of an application who make a return to the app after three months of first session. It has been found out that user abandonment is increasing years after year. It was 20% in 2014 whereas rose to around 25% in the following year. The prime cause is users now have a lot of options on their fingertips. If an app requires paid subscription then users make a switch to another application. However, there is a set of ways by which User engagement can be increased. Many professional android application development companies suggest easy on boarding. An easier signup and information fetching decreases abandonment rates to a great extent. Do not involve too much information fields. Involve frictionless onboarding by making account creation easy. Offer education to the users as the app loads. Do not ask for too much information from the user as it confuses them. Ask fro a required amount of information so that the user may not abandon the app in minutes. Personalization helps a lot in determining user’s needs and experiences. You can personalize the user experience by introducing the required notifications including names so that the users could wish to continue. Push notifications that are relevant to the user and he/she will definitely start remaining engaged with the app. The statistics have shown that Push notification have shown 56% to 180% improvement in user retention. Push messaging serves an important function. If implemented properly, it can also help you with targeting messages on the basis of user preferences. It provides users with a reason to come back. Through push notifications, you can make users ware of new events and deals. It basically prompts users to come back to visit your app. There is a good amount of response you receive when you send a blanket push notification. Increase user retention and engagement with sending out Push notification. Talk about operating Whatsapp, Facebook or any other messaging application on phone or tablets and we are pretty much sophisticated now. These apps are very much assisting in keeping us in social circles. We are more updated now than ever before. If you could remember, we had to do web chats through specific IM applications or suffer high text messaging charges. Video calls were not in existence. The free messaging apps such as Whatsapp, Facebook messenger, Hike and many more use internet connectivity to exchange audio as well as video calls. Today, Android tablet for development is gaining prominence and messaging applications have become great in number. Let’s have a look at the apps that run fantastic on tablets as well as phones. Whatsapp- First on the list is the messaging app with largest user base. It was founded in the year 2009. The app uses your phone number linked with the Android device to uniquely identify any person on the network. It scans your whole contact list to find out all the users linked with you who are signed in. You will be astonished to know that the messaging app manages around ten billion messages on regular basis. In the Android ecosystem, it is still a free service. The app runs well on both Phones and tablets. Facebook Messenger- Facebook messenger is a simple tool for the Facebook users to send private message to the people available on the network. In August 2011, Facebook decided to develop its messenger so that users can exchange messages in a easier way than before. It integrates well with mobile app version of the real social networking site. This app is very much similar to the ios but lacks in few features such as chat heads. The user base has no bounds. Google Hangouts- The video-conferencing tool, Hangouts was introduced with a integration with Google+ i.e. Google’s social network. Hangouts can now be called as a unified messaging app as Google Talk and Voice applications have been merged with it. The application works efficiently with both Tablets as well as phones. You can also switch between text-mode to high-resolution video-chatting in between. It has a great user base. All the three apps run well and effectively on both phones and tablets. More and more app development companies are now working towards Android development comany in jaipur. Avail free services from above mentioned three applications effortlessly. Being an owner of the small scale business, if you had decided that there’s good reason to create your own mobile app,we are providing you with numerous ways to make it out. Before that you begin to jump head first into the deep side of the app development sea, make yourself familiarize with various advanced options which could help you to a great extent in doing a mobile phone app development. You can build your own apps using Java programming language for Android simply by downloading software development kit which is available for free. The software development kit already consists of various samples, few source code, some of the developer tools as well as emulators for testing your app. Android also provides users with various how-to videos, or with some technical articles as well as instructions which demonstrate how app can be develop. If you are planning to make an iPhone app with the help of iOS platform, you’ll have to shell out around $99. Though, the iOS Developer Center provides you with broad range of tools, suggestions, or guides to help you in developing mobile apps for any purpose. The BlackBerry platform tends to supports various ways to develop mobile applications or mobile websites, several themes and widgets also. To make the apps available on BlackBerry’s App World, you need to pay fee for almost every 10 apps which you had submitted for approval. Windows platform might not be the largest in the world, but its interface is more user friendly and easy to use. The Windows mobile Phone app development program offers more valuable documentation for the purpose of marketing of your app. In addition to this, you don’t need to think whether your app or your game idea will get rejected. Since, Windows offer precise documentation that what will fly with its approval process. The best thing about this tool is that it is free to use, but it requires $79 fee every month to get access to some advanced features. AppMakr performs work for the iOS, Android or Windows operating systems. This is a platform for tablet or nd smartphone publishing which provides you ways to make and manage your visibility on most of the mobile devices, it also includes iPhone, iPad, Android phone as well as HTML5 apps. It offers more graphics, images, video, audio and also other kind of interactivity. Mippin platform is among one of the best strength of the London which offers features like easy to use or user friendliness. It also offers you to make development for Android, iOS and Windows apps, and gives flexibility in designing. You can also use Mippin to distribute for the iTunes, Android, Windows as well as Amazon stores. MobiCart helps you to links up along with PayPal to provide business or any consumer with e-mail address to reliably, easily, with full security and cost-effectively to send or to receive online payments. MyAppBuilder helps in making an iPhone and Android app of your own. What you have to do is you just have to provide content such as videos, books,images, etc and their advantages will take it from then and there. You don’t have to get a technical background to create app with MyAppBuilder. RunRev’s LiveCode helps your to create your app, which in an English type language for creating apps for iPhone or Android. this cross-device platform allows you to build live prototypes which provides the abilities of iOS as well as Android devices and to deploy to the requirements of your customers. Developing your own mobile app could be an effective way to make your brand stand out of the crowd, to open revenue channels as well as to create a healthy relationship with your customers. Above tools could assist you to a great extent to come up with the app which is great suited to your business. You are out with a great app that is unique, useful and easy to operate. Do you think it is going to win the race in this highly competitive market? You would probably put a lot of efforts in order to make it popular. The bitter truth is Android and ios app development company in jaipur have become arenas where you have to undergo a huge fight to become visible. While doing marketing for you app you forget to maintain the reputation of your brand via app. It is not enough for your app to just get plenty of downloads everyday. You need to take care of brand reputation also. The mobile presence of your business is extremely important for you. While marketing a particular product or service, marketers do not realize how much the mobile channel is influencing their brand’s reputation. Today, brands to maintain its reputation across all the channels including the physical store, mobile and app. The brands want the same as they have spent too much in making these assets available for us. They definitely want to maintain the brand reputation. Apps are normally left behind in marketing brand strategy discussion. No matter you create a game app for iphone or Android, you need to take care of accepting mobile channel in your marketing strategy. A Sitecore and Vanson Bourne study found- The research confirms brands need to focus on improving mobile experiences in real time, brands must also implement a flexible strategy and anticipate consumer expectations to evolve over time. Two-thirds of those surveyed admitted their expectations and requirements as a customer will change within the next three years. App reputation management is all about customer reviews and ratings. The review section is not actually taken to know what people think about your brand. It is taken so that you may know that what problems your customers are facing in operating the app. It is about how early you take the responsibility to solve them. It is what sets you apart. Give importance to the reviews people leave about your services. 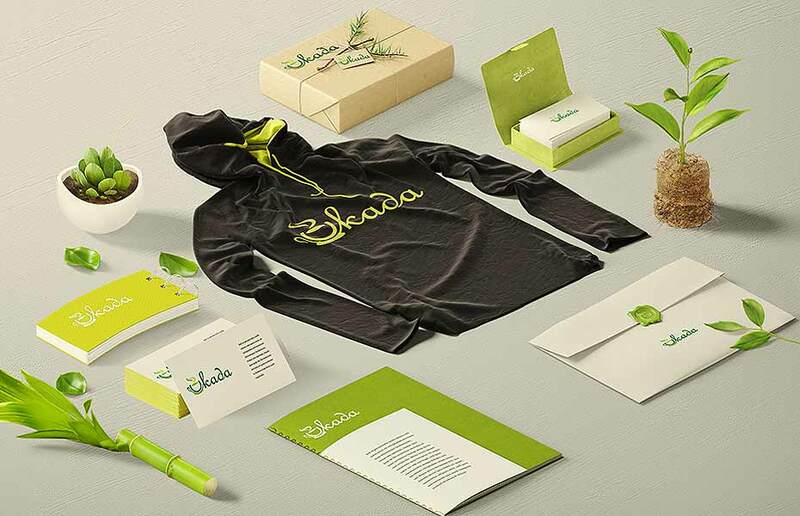 This is how you can set a good brand reputation in the market. If your are a leading marketer it is is important for you to take care of your brand reputation via mobile apps too. Here are some ways with which you can do so. Encourage rating and reviews- Rating and reviews should be received from both happy and unhappy customers. The ones from unhappy customers makes you understand the flaws in your app. However you may use segmenting tool to show up only positive reviews on app store. To do this you need to understand your goals. What do you want from this section? Would you like to read reviews from unhappy customers? Do you want to give a boost to ratings and reviews? Do you want to know the reason behind your success and failures in the online market? Once you have set up the goals, define your segmented audience. It can be done on the basis of device data like what version of your app they are using. Implement customer feedbacks- Next comes implementing the positive and negative feedbacks. Customers expect the company to listen to their queries. Lend an ear and you can score some really good points with customers. You cannot meet expectations if you are proactive in listening to them and telling them the solutions. Thanks to mobile that has made customer feedbacks more accessible than ever before. See your current product roadmap. Look for the problems that is annoying a number of customers and set you priority accordingly. Take feedback at right time- Identify the right time to ask for feedback. Giving a pop up at the wrong might make them leave the process. If the user is doing something important then he/she might not be interested in leaving reviews. Ask for feedback after the completion of a process. For example, for a shopping website the right time may be after the completion of purchasing process and for a gaming app, you can ask for feedback if someone crosses some stage. If you ask for reviews at wrong time then the users might find it time consuming and interrupting. You need to keep in mind customer experience while asking them for feedback. When you ask at the middle of a process then it might not accomplish your goal. Set up listening tool– Start listening to your customers when you come up with new version of your app. When you will listen directly to your customers, you will be able to solve their problems in a quick manner. Customers reviews are the building blocks for online reputation and you need to take care of both positive and negative ones.